22 different bingo cards and 1 set of calling cards in both color and black and white. Review basic shapes, colors, and vocabulary with your entire class at their level. 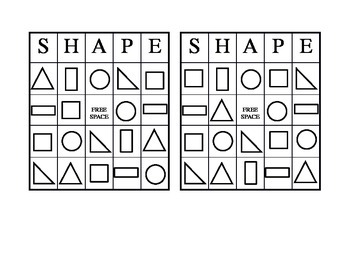 With two types of triangles and rectangles going in two different directions you can make this game as difficult as needed to meet your students' needs. 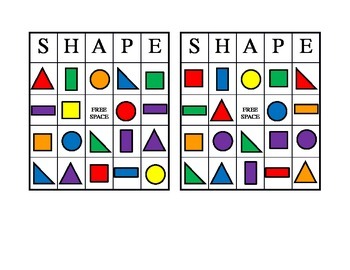 Call by color and shape or use the letters across the top and shape characteristics. Play as an entire class or let students take turns being the caller to small groups in math centers. The way you play is up to you. I suggest printing on card stock and laminating for long term use.